Entries are filling up fast. All previous M2O athletes are qualified for this year’s race. Race slots will sell out and are being accepted on first come first serve basis. NO ENTRIES will be accepted after the cut off date this weekend. The event will allocate spots for qualified first-time athletes. More details on how to enter below. 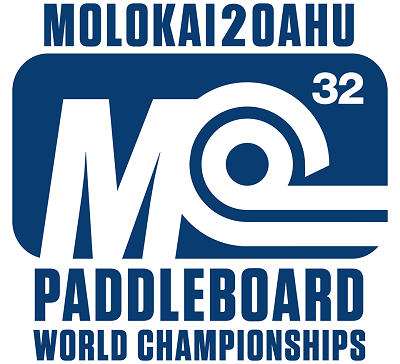 The 23rd Annual Molokai 2 Oahu Paddleboard World Championships is Sunday, July 28, 2019. Online registration for past M2O finishers and first-time race applicants opened Thursday, March 7, 2019 at 6:00 am Pacific Standard Time (PST) and will close Sunday, March 24, 2019 at 11:59 pm Pacific Daylight Time (PDT). Athletes must register online during this registration window. Athletes who have finished one or more M2O races can register as a solo or 2-person team. Entries not claimed by March 24th will be rolled down to qualified first-time race applicants. Please be aware that these entries are managed as first come, first served and will be balanced between Prone and SUP entries. As of now, the Foil division will be run on a separate date and will be announced shortly. First-time athletes with no M2O experience must submit an application (entry request) for review. Entry requests are limited to solo and 2-person teams. Registration for first-time applicants is not guaranteed and subject to approval by the race committee. Applicants must be able to paddle 10 miles (16.1 K) in two hours. Full refunds will be provided to denied applications. We will have limited entries allocated to first-time athletes. There will be a limited number of 3-person team entries available once the solo/2-person start list is posted. To request an approval code for a 3-person team, email your detailed requests to info@molokai2oahu.com. Register online at https://www.active.com/honolulu-hi/other-endurance/molokai-2-oahu-paddleboard-world-championships-2019 starting Thursday, March 7, 2019 at 6:00 am PST. The start list will be posted at www.molokai2oahu.com by April 1, 2019. If yes, Describe your recent race experience and include two recent race results. If no, Describe your recent race experience and include at least two recent race results. 2. What is your estimated 2019 M2O finish time? 3. If registering a team, provide the names and email addresses of your team members and detail results from two races for each teammate.